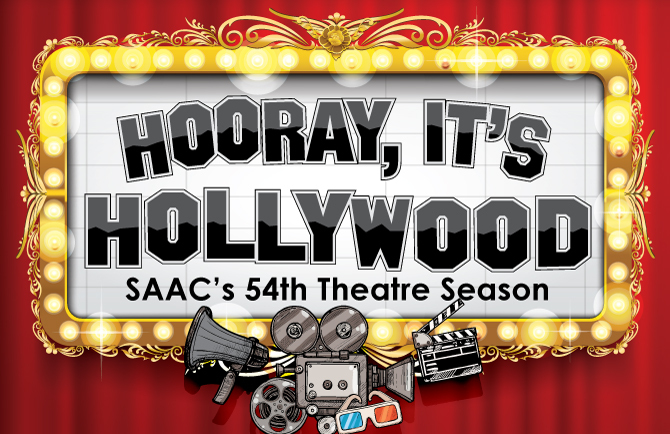 “Hooray, It’s Hollywood!” SAAC will announce its upcoming 54th theater season with a Hollywood inspired soiree! This salute to Hollywood announcement party will be held on Saturday, August 19th in the Price and Merkle Galleries at 7:00 pm. 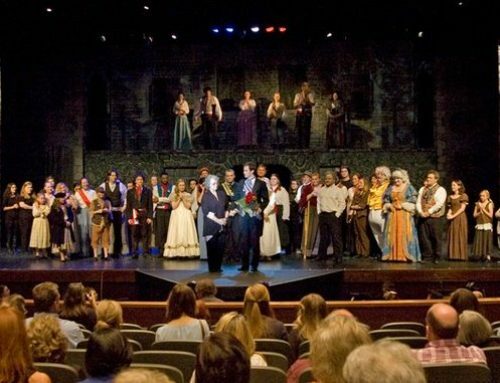 The theater committee has made its choices for the upcoming season, and the plays they have chosen are all related to classic movies from the Golden Era. The selection includes one iconic comedy, two musicals and a holiday revue for the season, and the names of the productions will be revealed during the evening at the announcement party. Setting the tone for the evening, SAAC actors will also present “Completely Hollywood (Abridged)”, a fast paced, action packed salute to Old Hollywood. Come dressed as your favorite movie star from the silent era through the 50’s. Food and cocktails will be Hollywood inspired, as well. Tickets for the event will be $10 for everyone. For more information or to reserve your tickets, please call the SAAC office at 870-862-5474.